I was given 3 products from Salcura, a natural skin care company. These products are aimed for children who have flare ups of eczema and severe skin dryness. 2 of these products are for children and one is for adults aged 12+. This outbreak rescue cream has no steroids and is 90% natural and it is a natural therapy to targeting children 3months+ who has flare ups of eczema and dry skin. They advise you to use this cream often on the affected areas before you start using the Daily Nourishing Cream. You are able to use this cream on your child as many times as you want as it is all natural, unlike steroid creams. This is the spray you use after the Outbreak Rescue Cream starts to work. This can be used on babies 3 months and over. Again, this spray is 92% natural and does not contain steroids. As this spray does not contain steroids, you are able to use on the face. A bonus with this cream is, you don't need to rub the cream in. We all know how babies and children can get if something is irritating them, and they want to be on the go all the time, so this is great. This is spray is for adults aged over 12 years old only. The spray is great to help soothe dry, itchy and irritated skin. You are advised to apply this spray on 3-4 times a day on the affected area. This cream is also great for those who have eczema or any other dry skin problems. 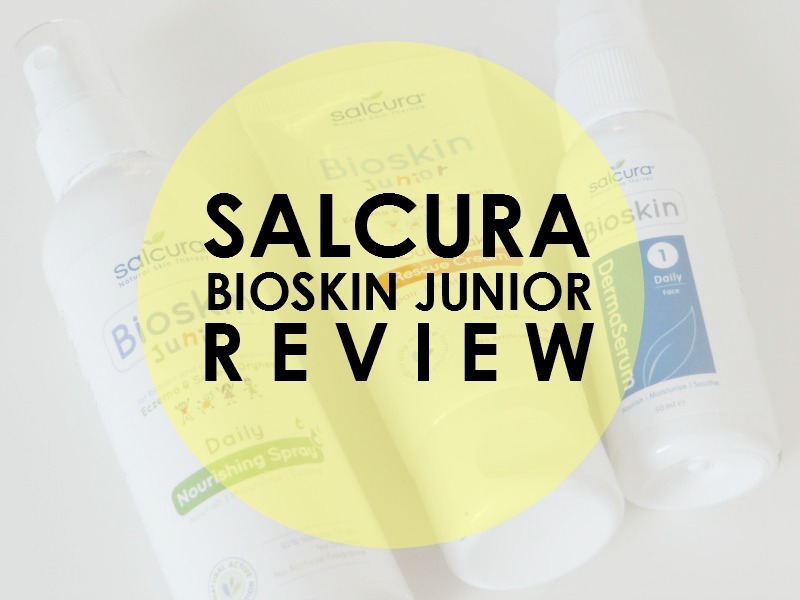 You can find out more about Salcura Bioskin products on their website here.